"This leading-edge volume captures an extremely broad cross-section of research contexts and assessment-related issues. By doing so, the book helps the reader—and the field—move beyond the findings and points of view that focus so heavily on the same learners and settings." 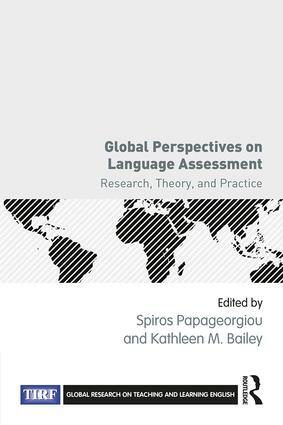 "Global Perspectives on Language Assessment provides much-needed support for teachers’ professional development. This book is written by some of the brightest scholars in our field and is based on cutting-edge research studies. This volume not only helps teachers develop their testing and assessment practices, but also includes an important narrative element, which will enhance teachers’ assessment literacy, leading ultimately to enhanced student learning."